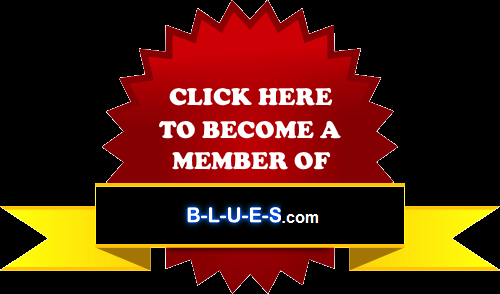 JOIN OUR BLUES COMMUNITY NOW !! I have been promoting the Blues, running this website, and moderating our Facebook Group since 2006. For the past 10 years, I have not earned a single dime out of it, I have done it purely out of love for the Blues. The result has been phenomenal, and the exponential growth of our community gives me a great satisfaction, even though it is hard work to maintain it. However, with success comes jealousy, and our group has been the target of spammers, and their attacks are threatening the well-being of our group. 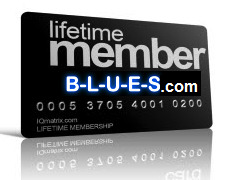 Therefore, I have decided that people who want to join our Facebook Group must first become a member of B-L-U-E-S.com. This is, in my opinion, the only way to stop spammers and other haters from joining our community and spoil the fun. It will be hard work for me to screen and approve new members every day, so, even though you are welcome to join as a FREE member with Option #1, I will be very grateful to all the people who can support me and the Blues by choosing Option #2, #3, or #4. So there you go, please choose wisely, and welcome to The Blues Community !! *** Read the update below. And Send USD 15. Then You Will Be Taken To A 'Thank You' Page Where You Will Be Able To Send Me A Message, Mentioning Your Facebook Name And URL. After Verification, I Will Add You To Our Facebook Group, And Give You Access To Your Other Membership Benefits. Once you become a member, you will not be required to pay anything more forever. The fee is viewed as a one-time donation for your support of the Blues, and will not be refunded for any reason. You will be able to post, comment, share your experience, and interact with the 20,000+ members forever, as long as you abide by our group policy. I will organize a Lucky Draw on the 1st of every month. your entry is automatic each month. by the donations on that month. The prize will be sent to the winner by PayPal only. this idea has to be dropped until further notice. It will be 1 page only and there will be no advertisement on it. You must provide me with the text, images, video, or whatever you want on your page. But it will be a simple page, and some advanced technical features will not be possible. (MP3 192 Kbit). There are 12 songs, which have been recorded live in our own rehearsal room, with basic recording equipment, not in a professional recording studio. However, I believe that this is what gives this CD its special feeling and groove. and 1 harmonica and singer. This email account with our own domain name is powered by Gmail. It works exactly the same way as a regular account from Gmail. However, for this service, I cannot guarantee that it will stay forever, because if people start to abuse it by using it for spam, then I will have no choice but to stop this service. But it has worked fine up until now.